Phobias vs. Fears: Which Control us More? At some point in our lives, most of us will develop a phobia. Some of us will develop a few of them, actually. Phobias come in so many forms, and many of them are so common, that most of us don’t have a problem talking about them — and they kind of ride along with us through life, like a minor sore on the back of our head. We even joke about phobias; they’ve become part of the popular culture. Claustrophobia. Agoraphobia. Arachnophobia. Many of us would rather talk in terms of “our phobias” instead of “our fears” or “our anxiety.” Phobias, being very specific in nature, usually have a good justification — something that most people can relate to and talk about without needing (or wanting) to go into three hours of miserable backstory of how they “got this way.” I have a real phobia about… yes, that just sounds so much healthier to describe the things that, well, freak us out. Can you name your phobia(s)? Probably. But can you name all your fears? That’s undoubtedly a longer list. We develop fears before we can even spell the word, after all. And fear is an overused word. I fear this, I fear that. Technically speaking, “fear” is an unpleasant emotion caused by the belief that something is dangerous, likely to cause pain, or a threat. An emotion. Interesting. So what exactly, is a phobia? Well, there are lots of long-winded definitions. But a phobia is basically a fear that impairs your life. Your unpleasant emotion had mushroomed into an aversion. If you fear something, you can do it, see it, or live with it anyway. If you have a phobia about something… you can’t. You avoid it at all costs, even if you know you’re overreacting. So would you still rather talk about your phobias than your fears? The fact is, we can function just fine through life with a phobia or two. We can also live normal lives with a number of fears. But how do we tell when a particular growing fear has become a phobia? When does that fear lead to a condition where we’re shutting down a small part of our life — or making our lives more difficult? I knew a woman from Toronto who wouldn’t drive at night, for any reason. She had to travel back and forth to Miami a lot for her job, and one fall afternoon her flight got delayed and she landed in Toronto at 7:30 pm. It was a calm, dry evening, and she was staring at her car in the lot, debating. She just had to drive to her small farm about 55 miles outside the city — a route that she knew well. Could she do it? No. She wasn’t even thinking about what had caused her fear, and eventually her phobia: a friend hitting an animal at midnight some years ago, and waking up in a ditch paralyzed. All this woman could think was: NIGHT: DRIVE: NO. Could she have taken a cab? You bet. But she walked to the nearest airport hotel, and put herself up for the night. Did this woman have a phobia? I’ll compare her to a guy I sat next to on a flight from Casablanca to Lisbon last month. He was originally from Mali, mid-20s, loved to fly — and could tell me everything about the Boeing 767 we were on, bragging about the safety features as if he’d designed them himself. 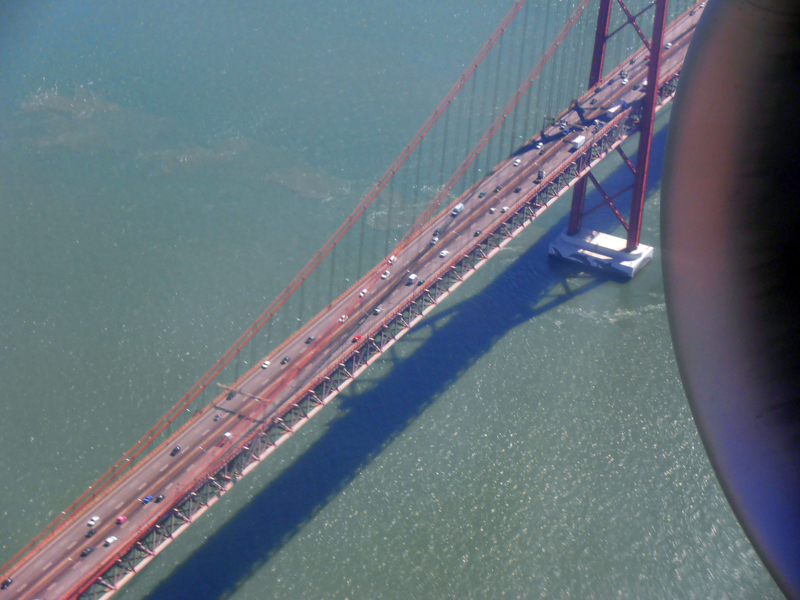 He admitted, though, that he had a real “hang-up” with flying over populated areas, and explained that’s why he loved our particular flight — because it was “all ocean.” I had to inform him that no, we were going to fly — pretty low, I might add — over the entire city of Lisbon before landing. He didn’t believe me until we blazed right over the Ponte 25 de Abril bridge, close enough to tell SUVs from cars. Well, this guy went into a bit of a panic. Switching seats with me, so he could be in the aisle seat, didn’t help. But what could he do? Nothing, except live through his phobia, and wait for the plane to not suddenly clip a building or a power line. I thought about how, sometimes, not knowing everything about what we’re going to do is sometimes good, because you can end up looking your phobia right down the throat before you’re wound up in that anticipatory dread that helped turn the f-word into your aversion in the first place. I didn’t tell the man this. I asked him to think about what our plane must look like to the people on the bridge, and the roads leading to the airports. Some of them had to fear that our plane would crash, inexplicably, into their paths, and end their ultimate journey. But they were still driving down there, even though there were plenty of places to pull over. They weren’t stopping. This entry was posted in Uncategorized and tagged anxiety, claustrophobia, fear, holiday, phobia, stress, travel, vacation. Bookmark the permalink. Well, I’m just glad you set out to conquer your fears as you did. Look at you! And I always love your photos.